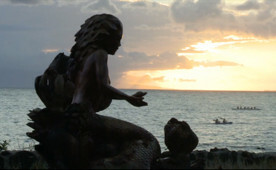 Dale Zarrella is sculptor and painter who resides on the island of Maui. What he can see in what the rest of us see as a dead tree trunk is mind blowing. What he can create with a paintbrush will make you wish you could paint too. To top to all off, he is one heck of a nice guy (and he cooks too)! Spend an evening with Dale Zarrella as he puts the patina on the bronze sculpture, Freedom. Dale explains the entire process as he goes, so by the end you should be able to Patina too. Get out your blowtorch!